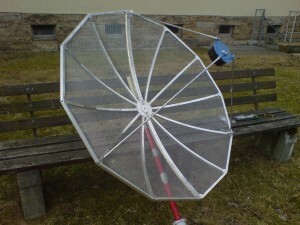 Yesterday i got my new 1.5m mesh dish (Drahtgitterspiegel) from Funktechnik Liebal http://www.funktechnik-liebal.de/. It can be splitted into two parts for transport. The 3-band feed i will get soon supports 23cm/13cm/9cm. So there is room for extending the portable rig. 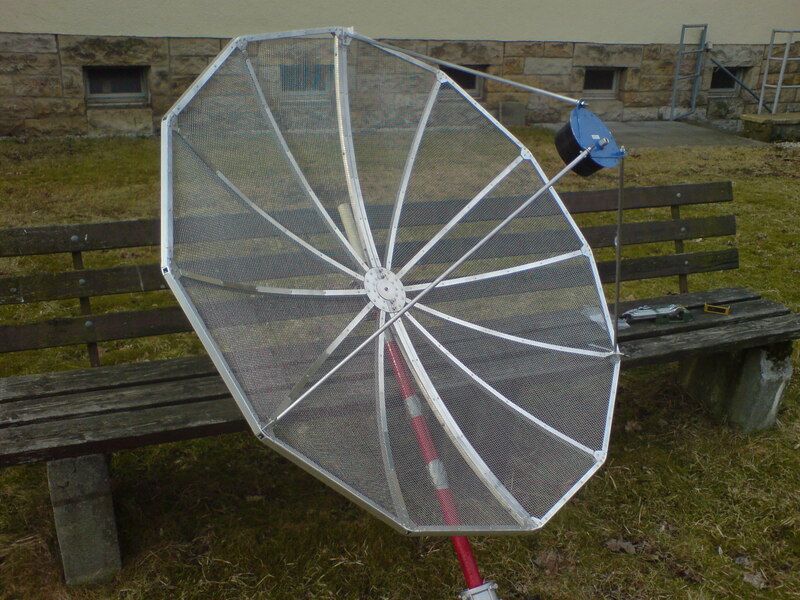 The foto shows the dish with a 13cm feed. This entry was posted in Amateur Radio, Antenna by mario. Bookmark the permalink.